Nice to see them all together! Tee Hee! 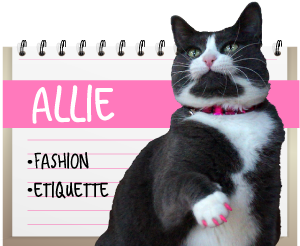 Allie's is my favorite too! And me is giving Allie a award! Stops by my blog and pick it up! 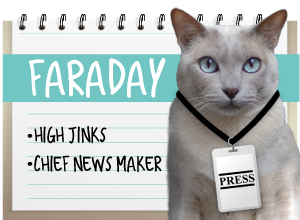 FaRADaY: STOW it, Allie - SERIOUSLY! Maxwell: *nods wisely* I keep telling him.... Oh, and you shoulda SEEN him with the Thanksgiving Pumpkin Pie. He didn't even stop eating when Momma rolled the flashy box thingy, he was caught red-pawed!! Being the furchild of two parents who took lots of math classes, I like Allie's tweet! Girls can be great at math! you TOO??!? Mowzers, it's a small world! Mommy & Daddy did too! Allie's tweet is my favorite. 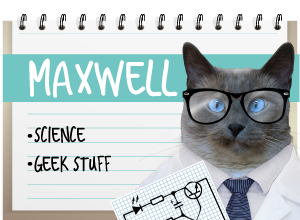 Well, of course it would be--she's a beauteous LadyCat and Maxwell and Faraday are . . .well, NOT. FaRADaY: EWWWW sisters are NOT beauteous!! Oh, humans are selfish … except my Pop. FaRADaY: ours too! ours too! !